Some of the prettiest ranches I know run along this stretch of the Laramie River in southern Wyoming. I always stop here whenever I am nearby. This was taken the morning after this year's Perseid Meteor Shower, I was thrilled to see these clouds roll in right when the light started to get nice! 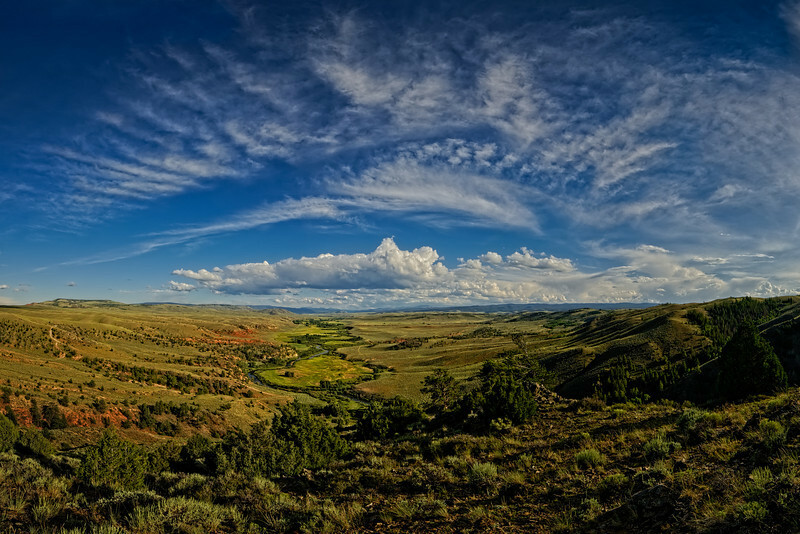 Image Notes: this is a pano constructed from five vertical Rokinon 14 mm f/2.8 frames merged in Microsoft Ice (Ice is free and one of the best pano programs). No HDR, just some luminance mask adjustments and dodge/burn.